More and more companies are adopting custom popsockets for brand promotion. Custom popsockets has been the most acceptable way when talking about your brand market in a unique way. Popsocket is a collapsible phone stand,which helps you grip you phone more secure and comfortable. By using a pop phone grip, you can text with one hand, take a selfie easily. More and more popsockets are sticked on the back of people’s cell phone. Imagine this, if your brand logo is shown on the back of these cellphone, you would get thousands of”mobile” advertising board in this city! 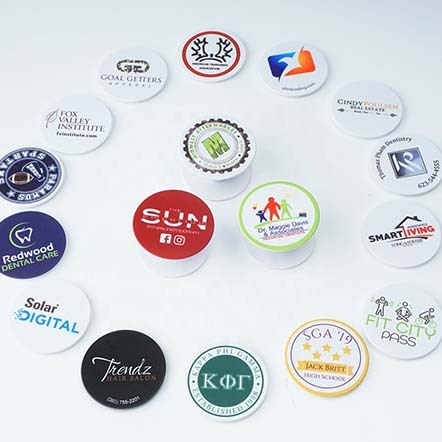 Compared with other types of promotional campaign strategies such as TV or radio ads, Popsockets custom service definitely cost way cheaper, yet the marketing approach is subtle yet powerful.These wholesale popsockets are customizable, all you need to do is send us your brand logo, and we will design and print for you. 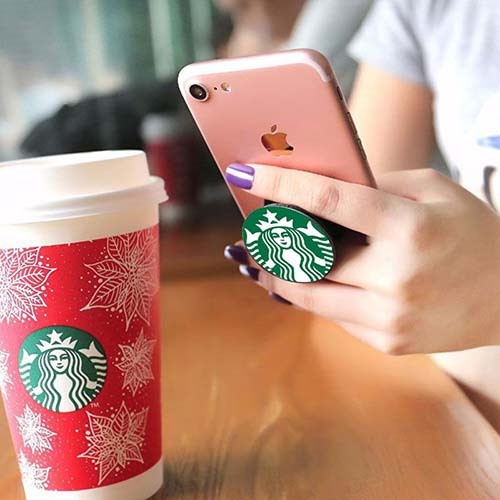 With a creative image design,consumers will not hesitate to stick your logo popsockets on their phone back anywhere they go, hence giving your business more brand visibility. We are a factory direct supplier online to offer cheap custom popsockets service. We service an expanding client list on a budget, on time and on specification. Any requirement please feel free to let us know, we will response immediately.